So Jasmine and I returned 3 hours later, with egg curry and Madeleines I wanted to take my favorite foods for them to try! She then rolled out the dough and stuffed them with apple slices, cinnamon and sugar and baked it for 25 min at 350 degrees. They can be filled with meat, veggies basically anything. Here they are yummy, and so good with a cup of tea! If you have a neighbor from a different country and Mum is visiting invite yourself over like I did, it was such a treat to watch her make them and she enjoyed sharing her Recipes with us! they look great! what a fun thing to do with your neighbor :) Happy Monday! Mmm. These do look wonderful! How nice that you can get together with neighbors for food and fun. 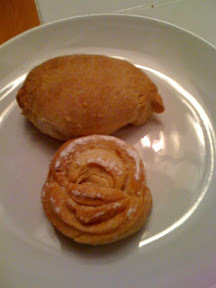 Yum, pirozhki with apple filling are my favorite! I've heard of pirogi before, but have never made them. It sounds fun -- especially if there's a group of fun people in the kitchen! I don't know about them....they look great! Thank you Rebbecca for sharing this recipe. Very interesting. She seems to have an assemble line going and not much mess? nice - neighbors like this are hard to come by in NYC. I've never tried to make pirogi. How nice that you had somebody to show you how. I love cooking with friends. Looks fantastic! I've never made my own perogi, so thanks for the tutorial! I've never tried these, they look so good! Delicious - I have only known savory pirogis. 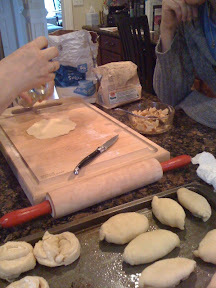 What a wonderful winter thing to do - all in the kitchen concocting pirogis for all! Lol I thought I was the only one who invited myslef to join other families in cooking. You learn so much from aunties and grandmothers. I have only had savory pirogi, these apple ones look pretty tasty. What a fun time! And how scrumptious! I wish I had a neighbor from another country...what a lucky find. They look so buttery and good! These look super delicious and like so much fun to make! Isn't that great that you are learning from your neighbours. Looks like fun with a great result. 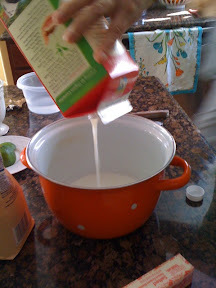 What fun to learn a traditional recipe from an expert! They look delicious! Good idea, we have such a diverse city here in Florida. I did eat some perogi's that a parent made for my daughter's school Christmas party. We were all supposed to bring a dish our family always made or an internationl dish where you were from. Yum, the pirogis look soo good! Can I come over for tea? 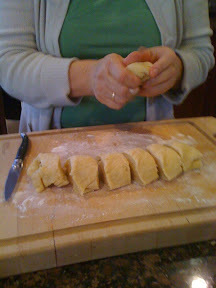 I think it is so neat that your neighbor invited you over to make pirogis with her and her mother. Yummy....they look wonderful. Are the worth the making??? Thas so cute Rebecca...! I love these...bet they were delicious ! They look just beautiful - oh I wish I had a neighbor like yours!!! Yum! They look wonderful! My friend made pirogis for Christmas and said her aunt's dough is Polish and all sour cream and flour. I can't wait to try this recipe and that one too! Great post. Deb: yep couldn't miss the chance! Emily: i know sweet people, come on over! Interesting. 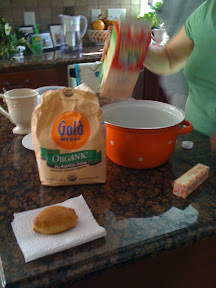 Your recipes call for yeast - noneof my Polish recipes use yeast - there is no rising .... I love the Polish pierogi - and these look so delicious as well.